Over 200 Styles & Colors of Plastic Shot Glasses! 2 oz. Clear Plastic Bottle Hanging Shot Glass available in 7 colors. 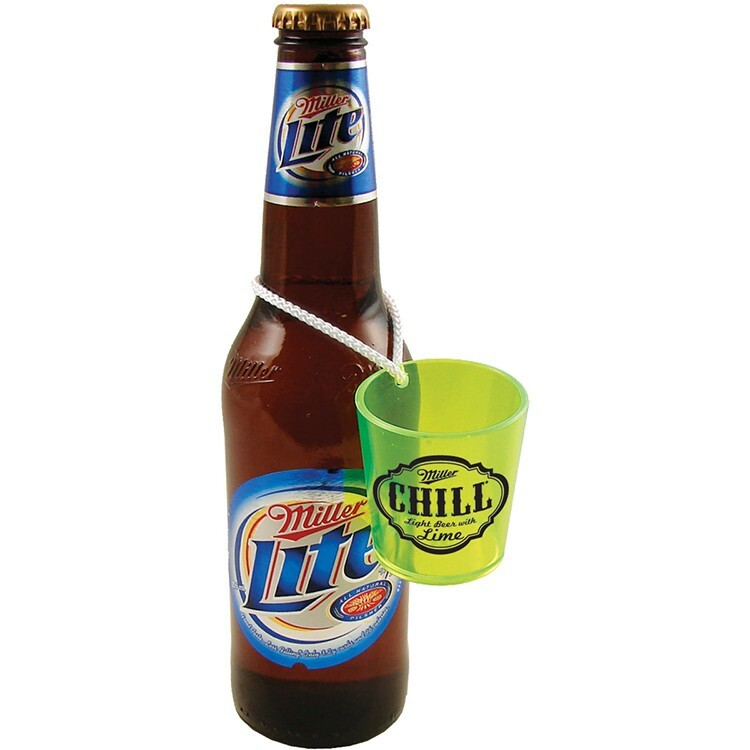 Includes a 13” Black or White Rope to hang the shot glass from a bottle USA Made of Styrene Plastic. Perfect for indoor and outdoor events. Prices include a one color, one location imprint. Multi-color imprint, 2nd side imprint and full color process imprinting are available. Top rack dishwasher safe, BPA free and recyclable. We offer most any size and shape of USA Made durable plastic drinkware. Light up styles and custom colors available. PRODUCT COLORS: Clear, Frosted, Black, Yellow, Gold, Green or Red with Black or White Hanging Rope. Custom product colors are available with a 5,000 piece minimum order. SILKSCREEN IMPRINT: Price includes a one-color imprint on one side in a 1.5”w x 1.5”h area. See “Options” above for standard imprint colors, PMS color match, additional imprint color charges and 2nd side imprinting charges. 4-COLOR IMPRINT: Available on one side only in a 1.125”w x 1.5”h area, see “Options” above for pricing.